McCall patterns have a fascinating history. The McCall Pattern Company was started in 1870 by a Scotsman. Starting in 1873 until 1884 he published a short four-page leaflet called "The Queen" to advertise his patterns. I've found references to two different taglines both "The Queen: Illustrated Magazine of Fashion" and "The Queen: Illustrating McCall's Bazaar Glove-Fitting Patterns". I haven't been able to find any image scans from these earliest publications. From 1884 to 1897 he began publishing these leaflets under the name 'The Queen of Fashion'. 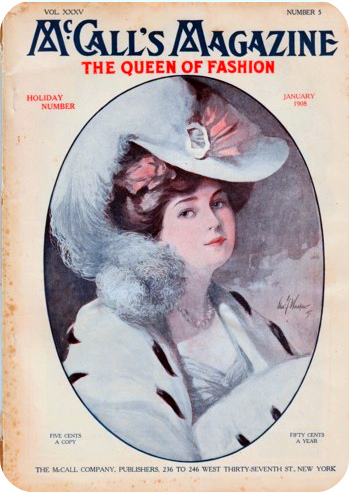 In 1897 the name changed to 'McCall's Magazine: The Queen of Fashion' and that tagline remained on the magazines until the spring of 1911 when they dropped the tagline on the magazine covers. The Queen of Fashion magazine and the subsequent McCall's Magazine: The Queen of Fashion extended the publication length (from 4 pages to approximately 15). Each magazine included a colour cover and another black and white inside cover and pages detailing the fashions of the times and the McCall patterns available for purchase (such as the photo above). 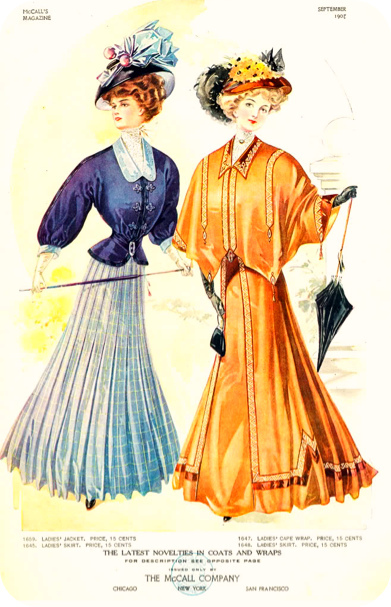 One or more colour fashion plates (like the one above) were also included in the magazines. I'm not sure if these colour fashion plates appeared in the Queen of Fashion magazines or only started in the McCall's Magazine: The Queen of Fashion. Fashion plate of a purple princess gown from the October 1899 McCall's Magazine: The Queen of Fashion via Vintage123. Fashion plate scans from the May 1901 McCall's Magazine: The Queen of Fashion via what-i-found (if you don't already know Tina's blog--definitely check it out. 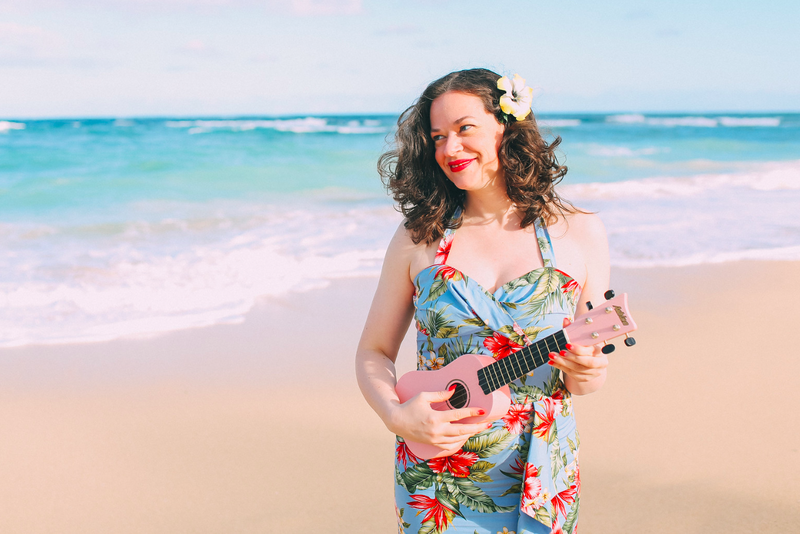 She's got some amazing posts from her vintage finds). 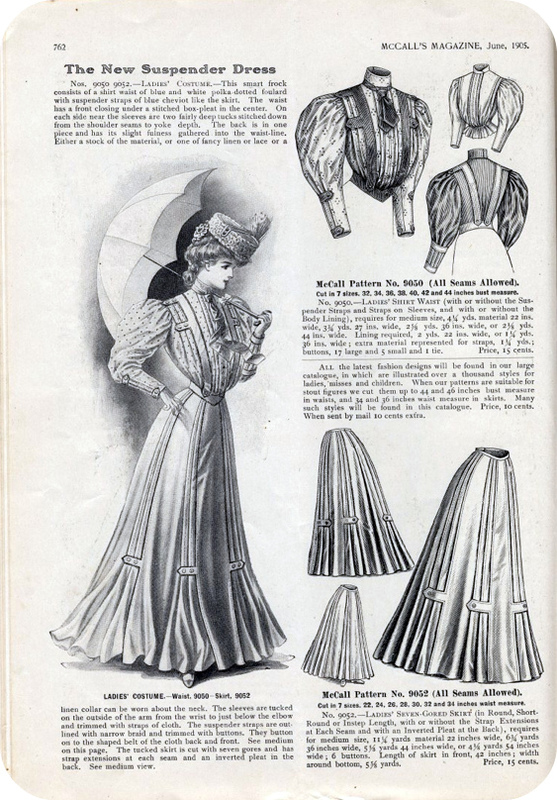 Scans from the August 1902 McCall's Magazine: The Queen of Fashion via what-i-found. Covers of McCall's Magazines from 1902 until 1936 at MagazineArt.org. 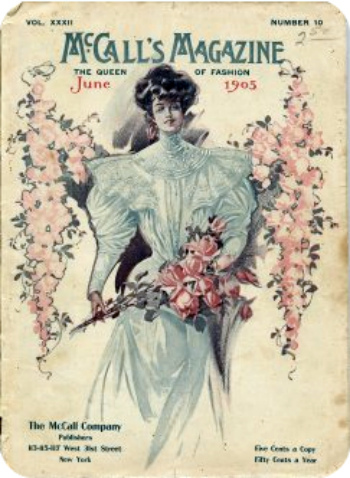 The complete June 1905 McCall's Magazine: The Queen of Fashion magazine at Digital Changeling (along with other fully scanned period resources). Scans from the August 1907 McCall's Magazine: The Queen of Fashion magazine via Christina592 on Flickr. I'll be covering more on the evolution of McCall's magazines and patterns up until the end of the 1930's this week. Please contact me (myhappysewingplace[at]googlemail[dot]com) if you have any additional resources or knowledge of these early McCall magazines and patterns! The Kentucky Edition 'Commercial Branding: Then and Now"
Great information Debi. The life of a dressmaker during that time period must have been a busy one. Wooowww! *____* Love them all! My favorite is the new suspender dress! I need some help,because I would like to make a sewing pattern collectiona and I have some doubts! Was he a Scotsman who immigrated to America and that's why it's now an American company? or did he sell the company to Americans? Oh my, I am in love with the pleating detail on the suspender dress. Thanks for the mention Debi. I appreciate it. But you also have gathered some goodies. I especially love that skirt with the pleats caught up with buttoned tabs. Lovely stuff! People railed at Ralph Lauren for the photoshopping in their infamous campaign last year but clearly 'micro pelvis' syndrome is a condition that goes back a century or more. You'd need a corset just to keep standing if you were Lady in Blue in that bottom illustration! Love the historical research. Hopefully you'll be able to find plenty more. I don't think I'd realised the company was that old.